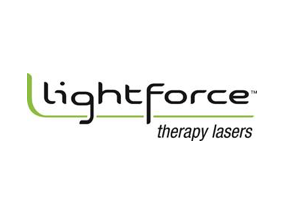 The FMA are delighted to welcome LightForce Therapy Lasers as Business Club Member for the 2017/2018 season. LightForce Therapy Lasers is the leading US–based manufacturer of deep tissue therapy lasers. Powering over 7,500 treatments worldwide everyday, and trusted by over 100 professional and collegiate sports organisations (including Watford Football Club), LightForce technology enables clinicians to consistently deliver superior rehabilitative outcomes by facilitating improved soft-tissue injury management, from prevention through healing. With unparalleled customer service and an ongoing investment in research, LightForce is committed to supplying its customers with superior products that provide consistent therapeutic results, whenever and wherever needed. LightForce is also the only laser therapy manufacturer to offer an extensive website dedicated to educating clinicians and patients on the therapeutic benefits of photobiomodulation. Featuring easily searchable and high-quality research articles, this website sheds light on the supporting science and provides answers to many of the most commonly asked questions on the technology.